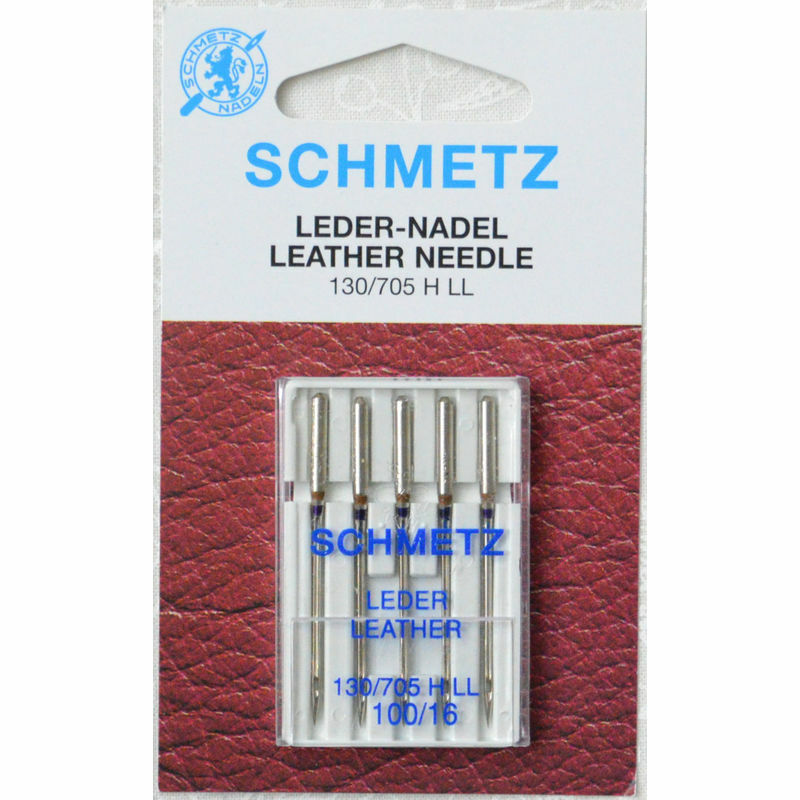 The leather needle has a wedge shaped point, which gives it the piercing strength it needs to penetrate heavy fabrics like leather and vinyl. Stitch quality is dependent on using the correct needle for your thread, fabric and the type of machine sewing you are using for your project. 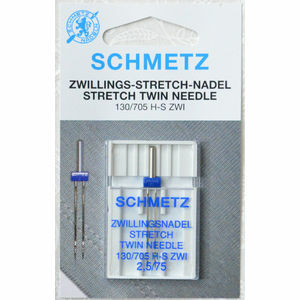 When the wrong needle is used you may get stitching that puckers, skips or thread may break. Consider fabric weight, thickness, weave type (woven or knit), weave density (close weave or loose weave) and composition (natural fibre or synthetic). 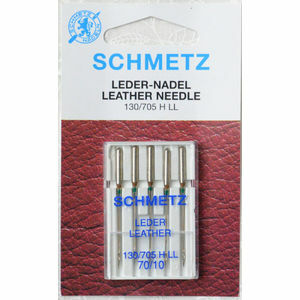 If your project or thread is specialised, choose your needle based on that rather than fabric type, eg. 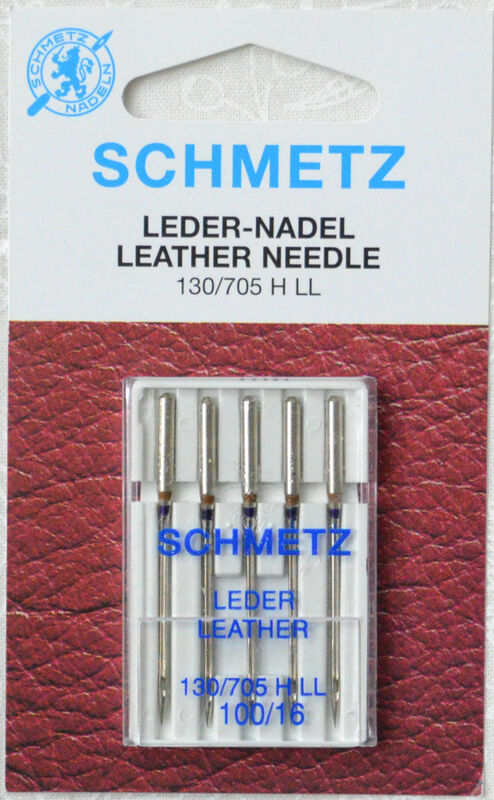 embroidery, quilting and twin needle work have a specific needle while there is a specific thread for topstitching which requires a certain needle type. 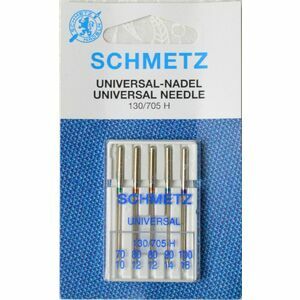 If your project involves general sewing or overlocking, base your needle choice on the characteristics of the fabric you are sewing with. 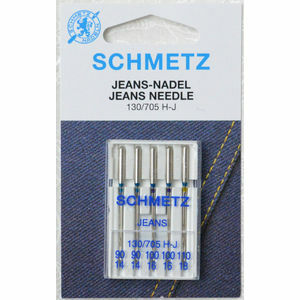 For instance are you working with woven fabrics (heavy or light, denim jeans), leather, or stretch fabric? 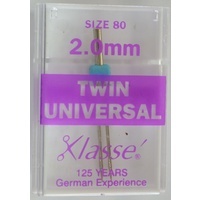 When you have selected the type of needle you must also choose the size (width) of needle. 110 18 Heavy Denim, Leather, Etc. 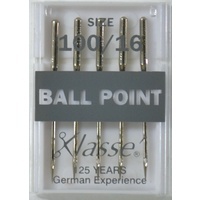 Machine needles should be replaced after a maximum sewing time of 8 hours. Replace needles more frequently when sewing synthetic fabric, appliques or machine embroidery. 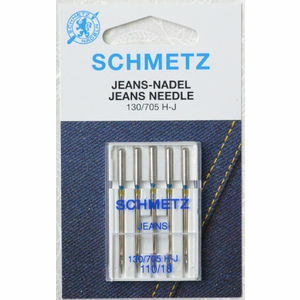 This will avoid skipped stitches, fabric pulls and frayed threads. 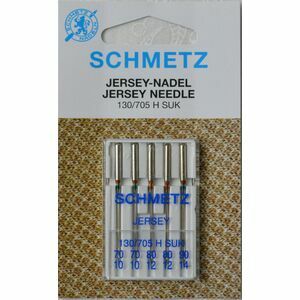 Is the needle type and size correct for the fabric? 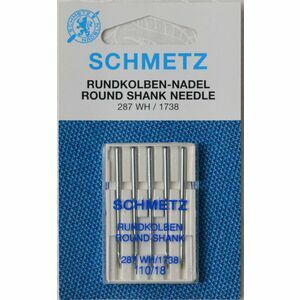 Is the thread too thick or unsuitable for the needle size and application? Is the upper thread feeding freely? Are the thread tensions set too tight? Does the machine need cleaning/oiling? Is the correct presser foot fitted? Is the correct sewing technique being used? Is the fabric being pulled, pushed or dragged during sewing? 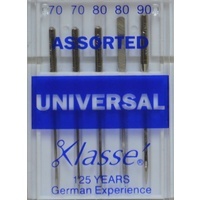 Twin needles, triple needles and other specialty needles can break due to excessive heat build up. To avoid breakage reduce speeds and avoid prolonged useage.